THE HUMAN WORLD -- President Count Dracula's blood misters will cause the portals between the monster world and the human world to close on Halloween night, leaving monsters stranded in the human world forever. Will monsters, in fact, be stuck here for good? Will there be scares year-round? Will the humans have to build more housing for monsters and give up jobs to vampires, werewolves and ghouls? The clock is ticking . . . It's almost time to find out . . .
Tonight's the big night . . .
Click here for the horrorthon . . .
And remember the big giveaway at 9. Don't miss it. And don't forget to wear your Silver Shamrock masks. The clock is ticking. It's almost time. Happy Halloween from your friends at Jack-o'-Lantern Press! We hope to find you back here again on Aug. 1, 2018, for another Halloween season of monster news and entertainment. 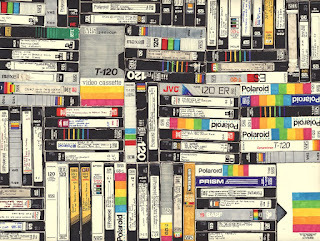 THE HUMAN WORLD -- As monsters in the human world prepare for the big night tomorrow, we at Jack-o’-Lantern Press asked hundreds of them to take time out of the busy scare schedules to share with us some of their favorite Halloween movies and videos. The response was monstrous. After a detailed poll, the results are in, and we found that many of the same titles kept coming up. Keep in mind: This is a monster’s list. There’s one movie that monsters seem to like most as the Halloween season begins in August. It’s a monster movie. A big one. 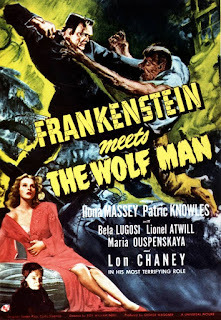 Two monster titans going head to head in the 1943 Universal classic, “Frankenstein Meets the Wolf Man.” Many monsters were bummed with the ending, since both monsters are destroyed in an explosion, so the two sequels that followed, “House of Frankenstein” (1944) and “House of Dracula” (1945), are quite popular and are often binge watched together. 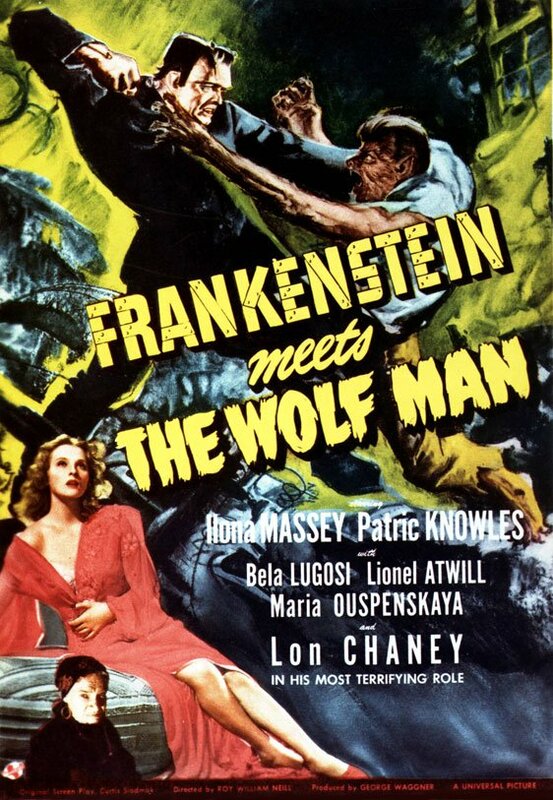 A couple other classics in a similar vein that came up were “The Alligator People” (1959), “Man Made Monster” (1941), “The Invisible Man” (1933) and “House on Haunted Hill” (1959), along with some of the more obvious Universal classic monster classics. But the second movie on the list really packs in the monsters. Monsters that have diverse backgrounds liked this one because creatures from all backgrounds, shapes and sizes are here, from zombies and demons to werewolves and vampires. 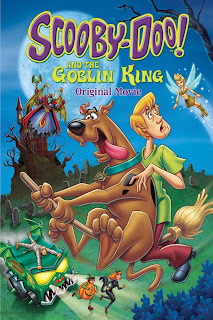 “Scooby-Doo! 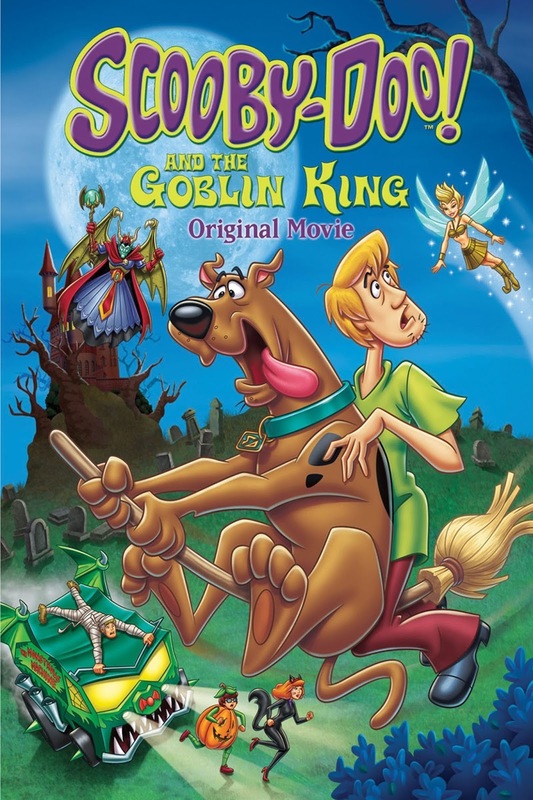 and the Goblin King” (2008) is an exceptional docu-drama about the lives of pretty much every monster you can think of on Halloween night. 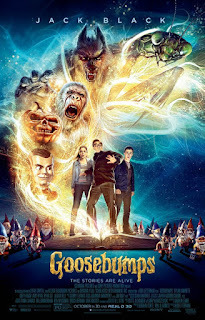 Other fun similar movies are “Hotel Transylvania” (2012), “Hotel Transylvania 2” (2015), “Mad Monster Party?” (1967), “Dear Dracula” (2012) and, of course, “Nightmare Before Christmas” (1993). The third movie on the list was certainly a crowd favorite, and the end of the story offers hope for a monster revival that’s enough to raise the roof of any monster movie house. “Goosebumps” (2015) was on the tops of so many monsters’ lists. 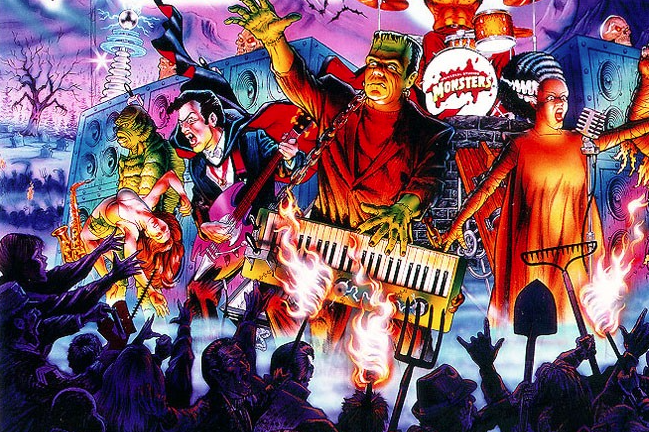 Other movies in this camp of fun monster romps include “The Monster Squad” (1987), “Monster Island” (1987), "Abbott and Costello Meet Frankenstein" (1948), “The Return of the Living Dead” (1985), “Gremlins 2” The New Batch” (1990), “Matinee” (1993) and “The ‘burbs” (1989). The fourth movie on the list is quickly becoming every monster’s No. 1. It’s the monsters’ version of the human world’s “A Christmas Story” on Christmas. 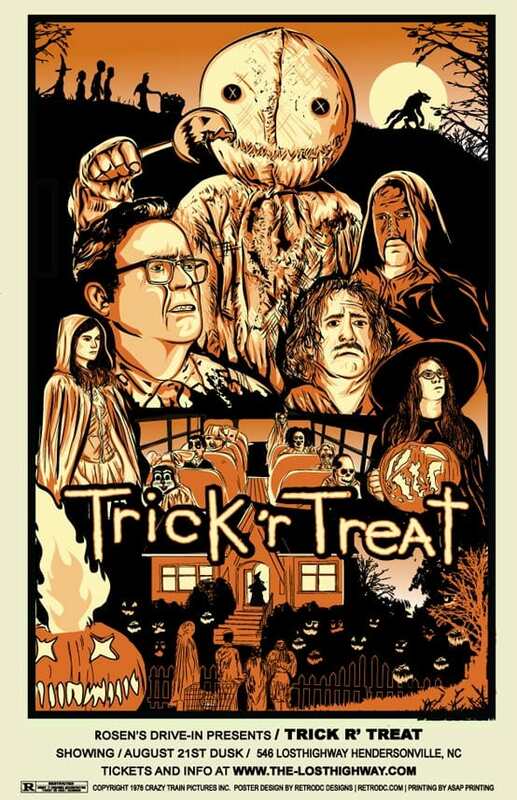 It’s “Trick ‘r Treat” (2007), and monster families that come together during the Halloween season often gather around their TVs to watch this one about Halloween traditions to get a feeling of pride and belonging. 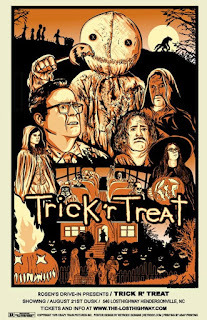 Monsters who love this movie brought up other favorite horror anthologies, including “Creepshow” (1982), “Nightmares” (1983), “Twilight Zone: The Movie” (1983), “Tales of Halloween” (2015), “Body Bags” (1993), "V/H/S" (2012) and -- somehow this came up a lot -- “Amazon Women on the Moon” (1987). 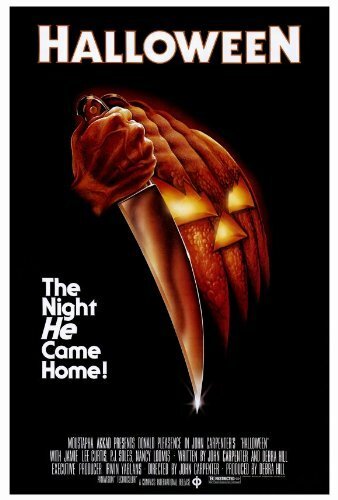 For the fifth and most favorited movie of all, we come to the one that everything seemed to agree on, one that stars one of the most popular monsters of all time, one that says Halloween and Halloween tradition more than almost any other Halloween movie, one that gives that Halloween feel you want on Halloween: It’s “Halloween” (1978). 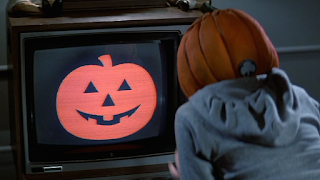 And if you’re watching that, you must also watch “Halloween II” (1982) and “Halloween III: Season of the Witch” (1982). 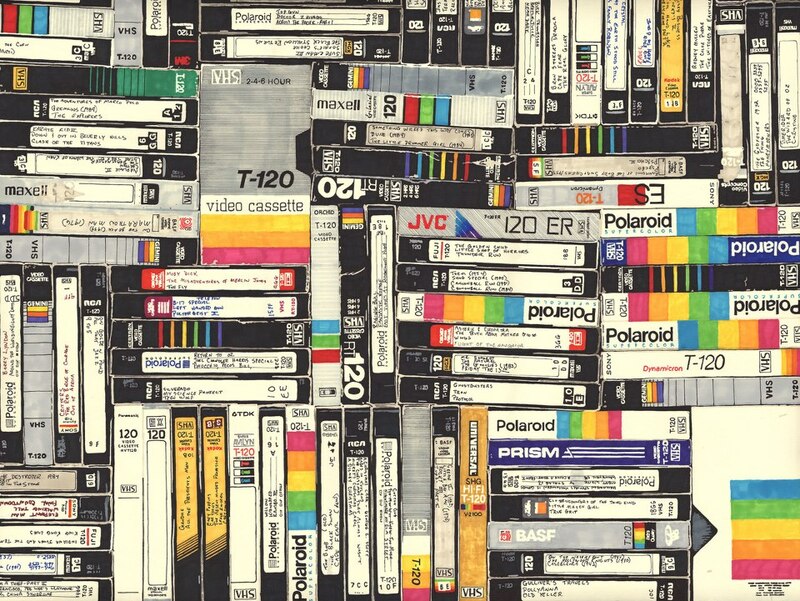 Other favorites in this camp include “The Texas Chainsaw Massacre” (1974), “Friday the 13th: The Final Chapter” (1984) and “A Nightmare on Elm Street” (1984). Share some of your favorite Halloween flicks in the comments below. We’ll be waiting. JACK-O’-LANTERN PARK -- The Headless Horseman is optimistic about making his annual trip into the human world’s Sleepy Hollow via the portal found in Headless Horseman Bridge in Pumpkin Hollow between the monster world and the human world, while at the same time publicly acknowledging what has been obvious for some time, that he might never return. 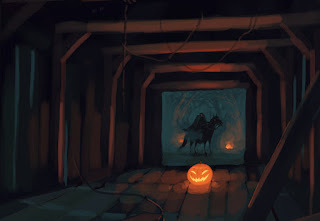 According to mad scientists, all portals between the monster world and the human world will close for good on Halloween, the night that Headless will ride through Sleepy Hollow and chase some poor soul to his or her doom. While Headless seems more than thrilled about the idea of the portals closing so he can get his head, once he does get it, he’ll have to remain in the human world forever, which is not ideal, especially since it’ll be difficult to hide among so many humans, unless he conceals himself in the trunk of a tree like the horseman did in that fictitious Tim Burton movie about a headless horseman that is in no way related to the real one. Headless was peppered with questions during a news conference this morning, and he kept repeating the same thing. “Mrrah ha ha ha ha ha!” he said over and over again. At the end of the conference, the goblin rider rose in his stirrups and hurled his head at all the fake news organizations in attendance, excluding this fake news source. Everyone fled the scene, and on and around the chairs were found reporter’s notebooks and writing utensils, audio recorders and -- you guessed it -- a shattered pumpkin. And what a waste of a perfectly good pumpkin. Before that, corn, tomatoes, lettuce, onions, squash and other produce grew there for decades under the stewardship of longtime farmer Old MacDonald. The old man also had chicks, ducks, turkeys, pigs, cows, cats, mules, dogs and a turtle that actually went nerp, nerp until the late 1940s/early 1950s when UFOs began making contact with his property. 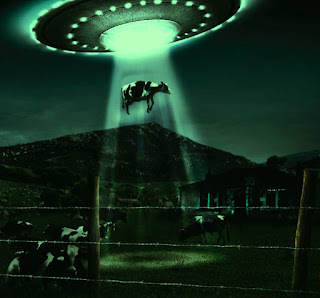 Turns out, the saucers that were crash landing, hovering over and abducting the animals there were, in effect, mutating the farm life. UFOs continued to decimate MacDonald’s Farm over the years, and business kept booming. Alien crafts wiped out portions of the barn, scarred the ground permanently and contaminated the grounds with a menu of radioactive isotopes and toxic chemicals. 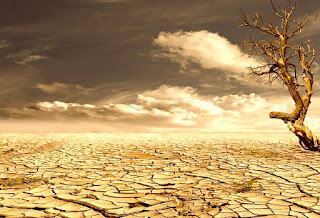 But extraterrestrials stopped crashing and abducting animals there back in 2010, causing the worst radiation drought the area has seen. In early 2017, a wave of alien saucers flew off course and royally smacked down onto MacDonald’s farm, causing not only a fire in the sky, but one that torched MacDonald’s farm house. It was a welcome relief, to the point where MacDonald said he felt the drought was over. Regardless of the dangers at the site, Old MacDonald’s Farm continues to be a fun place to visit. While the “Caution: Radiation Area” tape has long since been removed, guests will still be able to take walking tours through the old barn, which could collapse at any time (if you’re lucky), play in ground scars made by downed UFOs (the ones with standing water where swimming is allowed may or may not continue to be bio-hazardous) and climb aboard crashed saucers with extraterrestrial bodies to dissect (if there’s anything left of them by the time you get there). To plan your exciting visit, go to OldMacDonaldHadAnAlienFarm.mon. VALLEY OF DOOM -- Hell Driver used to pick off motorists on the highway. Now he’s picking them up. His new ride-hail service is now available to those looking for sweet, sweet revenge, and you can climb aboard his death black ’55 Chevy at El Diablo Truck Stop along Hell’s Highway and go after those scumbags that did you wrong. Those who can’t stay ahead of their evil pursuers in their souped-up set of wheels can now take comfort in knowing that, with Hell Driver in his flaming hot ride, you too can move at unearthly speeds. Slip into the upholstered seats colored diabolic red (yes, that’s an official, patented color), grab hold of the “Oh Crap!” handle and hang on. Before you know it, you’ll be running down those who have it coming to them, sending them careening into the flames whence they came for all of eternity. Ride with Hell Driver long enough, collect a good share of kill marks on the front fender (and bodies in the vehicle's bottomless trunk), and you’ll soon find yourself in the driver’s seat. Already there’s a long, long line of those waiting for the privilege to take over the position. See El Diablo at El Diablo Truck Stop to add your name to the list. VALLEY OF DOOM -- As those visiting and frequenting the desert continue to have trouble finding parking, Valley of Doom City Councilmonsters are finalizing plans to build a 13-story (not including the 13 stories below ground), 6,660-space parking structure and pedestrian bridge to the barren landscape. The project, to be located in the center of the desert at the corner of desert and more desert, is said to be the answer to parking problems that have been going on for years. For over 100 years, as the desert has become increasingly busier, the council has toiled with the idea of adding other parking lots. The parking structure has been in the works for the last three decades. According to Mayor N’dry, it’s the Valley of Doom sun that’s cooked city planners’ brains, so it’s taking a little longer than they’d hoped. After last night’s Planning Commission meeting where commissioners approved the final design of the structure, the project is now set to go before the council in November for final approval, and it will finally be put on the fast track for completion. Residents sounded off about the plan during a public hearing last week. One individual was concerned that, since the new parking structure will be built on top of the current parking lot, which is the only lot in the land, there will literally be no parking at all in the Valley of Doom. “What are we going to do, park right on top of the desert?” asked Noe Organs, a skeleton who commutes from Downtown Transyl-vein-ia to the Valley of Doom five nights a week for work. According to the mayor, folks like Organs won’t have to worry. The Valley of Doom City Council is working with other Transyl-vein-ia districts to build parking lots in neighboring jurisdictions so that those going into the Valley will be able to park out there, and then pick up a shuttle into the desert. BLACK LAGOON -- If you’ve made it this far in Transyl-vein-ia -- into the heart of the Black Lagoon -- then chances are you’ve got flying frog monsters on your tail and they’re gaining on you. Take this opportunity to sit down at the Blues Lagoon blues lounge in the Stench Quarter and let your pursuers catch up. Star performers like Snarley Parker, Frizzy “The Werewolf” Gillespe, B.B. King Kong, Fret Baker, Sarah Vein, John “The Moleman” Moletrain, Billie Horrorday, Dexter Gore-don and Charles Fungus are some of the headliners at the bar. You can listen to disturbing music and enjoy Cajun-style insects and sludge gumbo. But it’s the atmosphere that matters most. Usually, upon arriving in the cemetery, folks figure that since the deceased is dead and gone, there just isn’t any sense in not celebrating the loss of the poor soul, so the band really gets into it and the congregation usually breaks into dance. In fact, the Blues Lagoon was awarded Deadliest Bar in the Quarter 10 years in a row. Speaking of deadly, here come those flying frog monsters now. Better make a run for it. Don’t trip over any of the obstructions hiding under that fog bed that just came conveniently rolling in. 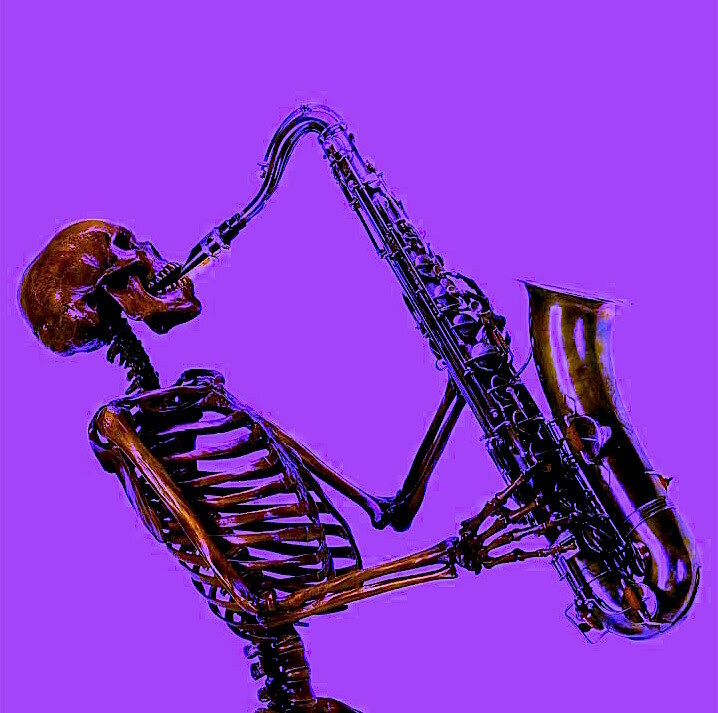 But since the band is already here . . .